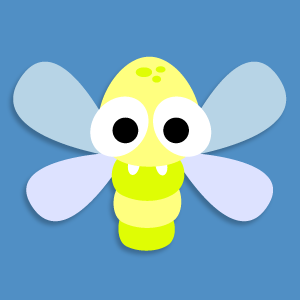 Here's another one for the members area - For buzzing around in the dark a Firefly! 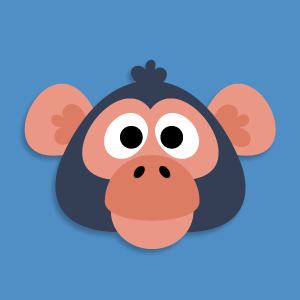 A member requested a Chimpanzee mask the other day. I'd forgotten to do a Chimp mask! We've got a Monkey, a Gorilla, a Mandrill and an Orangutan but no Chimp... Until now! Here's another doggy mask for the members area, this one's a Poodle! Here's another one for the members area, a printable swan mask. Here's a new one for the members area... The Flamingo! Here's another quick freebie for the Queens Jubilee. 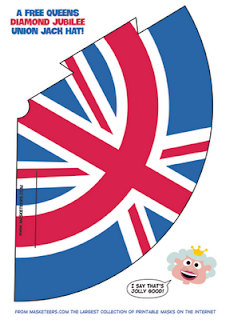 Print out and make as many Union Jack Hats as you like here for your Jubilee street party! Seeing as our ol' queen is going to be celebrating her Diamond Jubilee on June 5th I've put together some jubilee themed masks and the best bit is... They're FREE! There's a Queen mask, a Prince Phillip mask, a Corgi and a Union Jack mask. To download them click here! Here's a turkey mask for the members area. Here's a new one for some underwater fun, the Hammerhead Shark is now in the members area.